Pendaflex Interior File Folders, 1/3 Cut Top Tab, Letter, Teal, 100/Box - Interior folders are ideal for use with hanging folders. 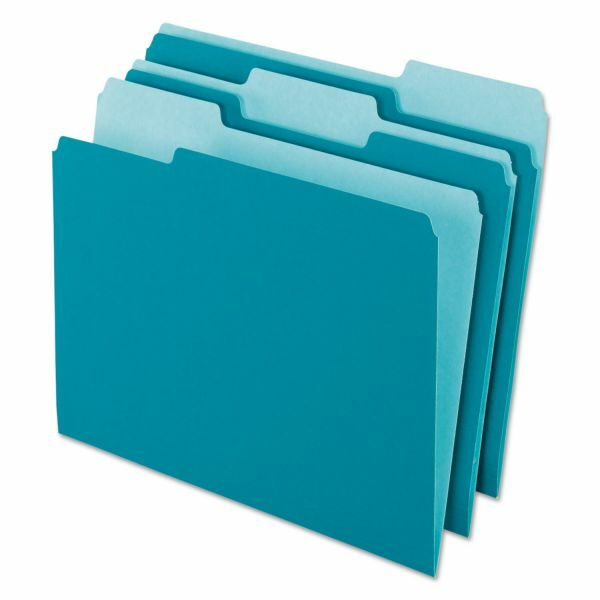 Folders are designed to separate groups of papers inside a hanging folder or to transfer papers from file to desk. Slightly shorter than a standard file, the folders won't obscure the hanging folder tab. Lighter interior colors help prevent misfiles.